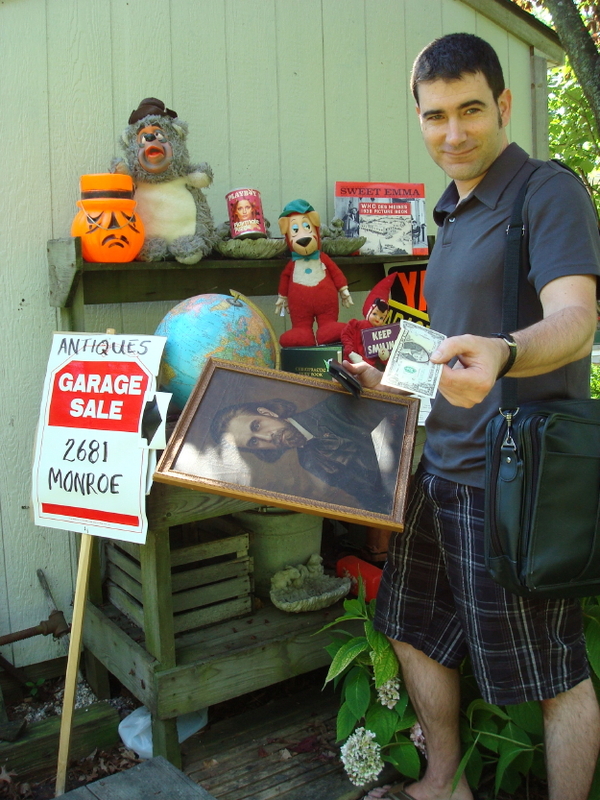 Before I became interested in collecting chiropractic antiques, I frequented garage sales and estate sales picking up anything that caught my eye — never really giving the process much thought. Now, I know that BJ Palmer would have said that Innate was telling me what items to choose and which to pass by. It was an estate sale, and I went straight for the basement. I like basements because they contain a grab bag of unusual odds and ends that have been tucked away for years. The ironic thing is that this basement was practically in my own backyard, just minutes from my home. 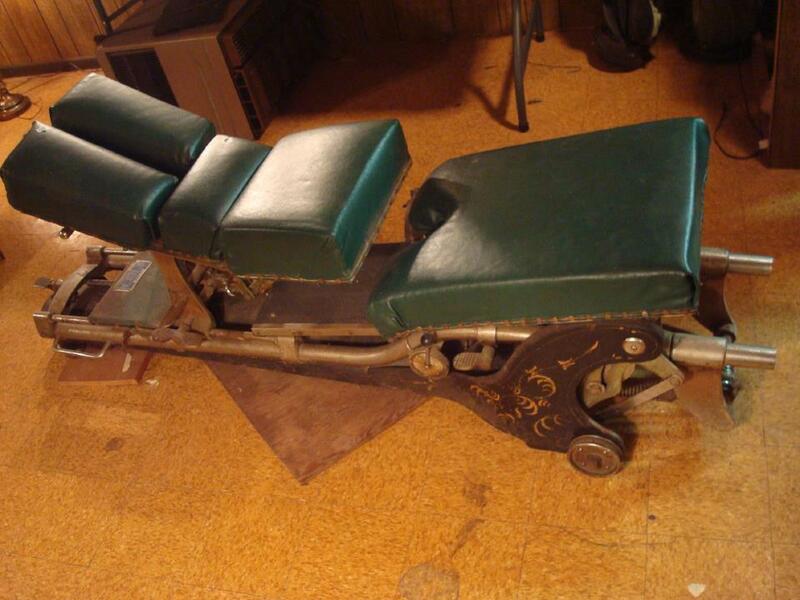 a vintage chiropractic adjusting table. This one was an old Zenith model, complete with green padding and hand painted gold glitter detailing. The whole thing reminded me of Santa’s sleigh (maybe because it’s Christmas). Unfortunately without Santa’s reindeer, I had no idea how I would get it out of the basement — it weighed a ton! But my spirits remained aglow, because I knew more chiro-treasures were sure to be found. After all, this estate belonged to a chiropractor! Alongside the green giant was an old, bulky suitcase adjusting table. Next to that was some sort of “machine” that operated a heavy-duty gun-like device that looked like it could deliver one heck of a kick. This sale was getting better by the minute! While I am not too familiar with chiropractic devices other than the neurocalometer, I was definitely intrigued. I plugged this fellow in to see if it worked, and soon the gun was pulsating like a jack hammer. Maybe, I thought, it was a muscle massager used to relax an area before making an adjustment. I didn’t know. It didn’t matter. Because with the gun now pulsating and the machine emitting a retro blue glow, I knew I had to have it. I’d research its purpose later. I had more chiro-picking to do! I made a quick dash to a bookcase to look for the much sought after “green books.” No dice. 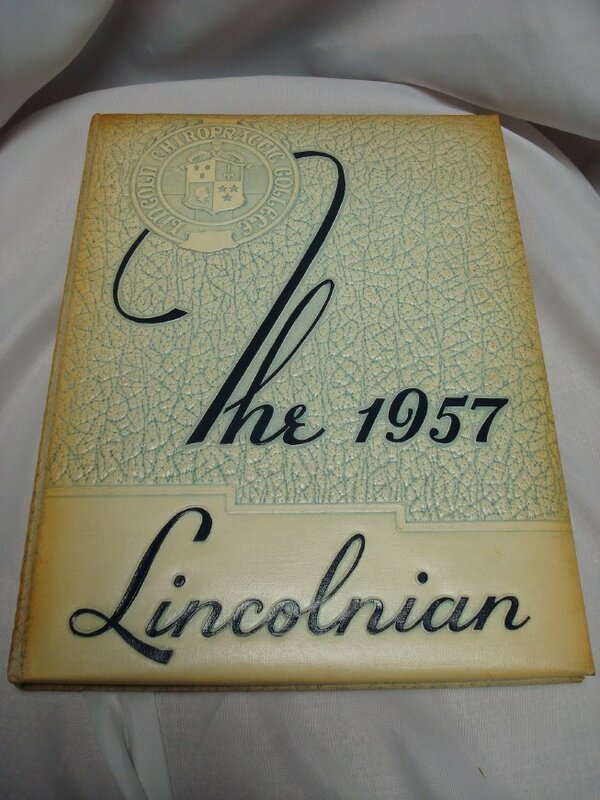 I did, however, come across a 1957 Lincoln Chiropractic School yearbook. This was a great find, because I now had a timeframe of when this chiropractor went to school and the age of his items. 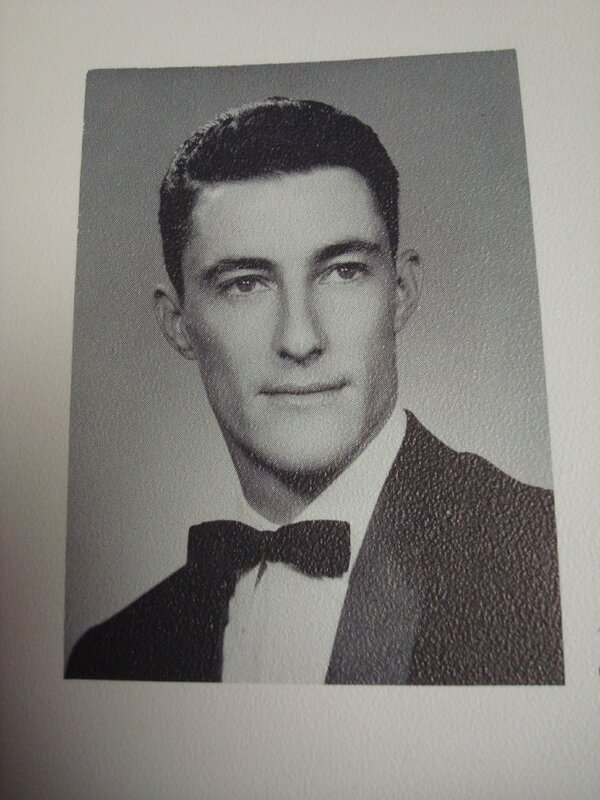 Plus, I had a chance to “meet” him face to face when I found his photo in the book. 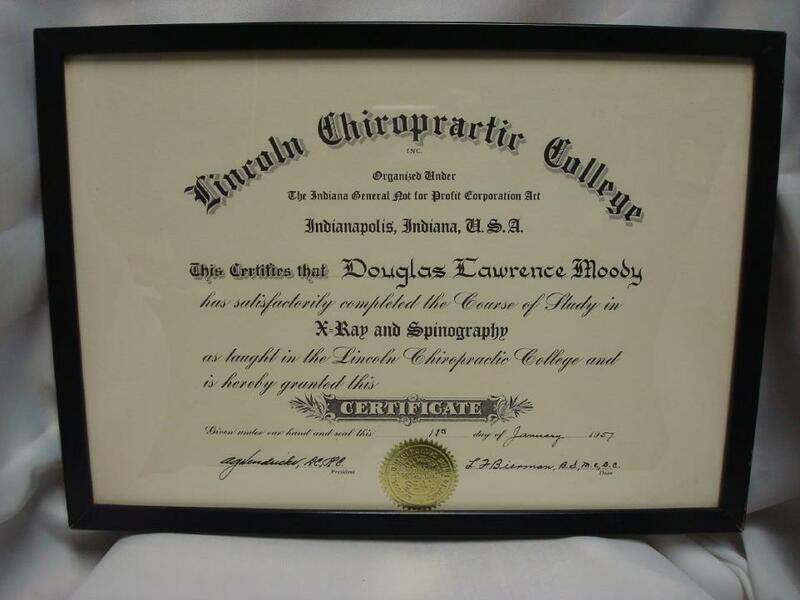 His name was Dr. Douglass Moody, and I now felt a personal connection to my neighbor- chiropractor of yesteryear. I looked through his books and found a copy of Spear’s Painless System and a unique Lincoln Chiropractic School workbook on X-rays with a few films inside — some were of him even! Perhaps this “personal connection” thing was a little too revealing. 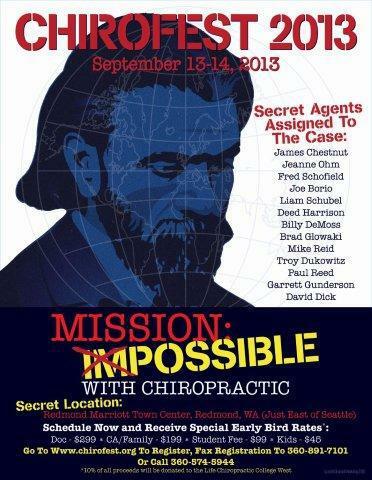 I did a quick walk through the house looking for anything else that belonged in this chiropractic treasure run. I was hoping to find a class composite, as it would have completed this ensemble nicely. Despite turning the house upside-down, I didn’t find one. However, my snooping around paid off, as I found some framed diplomas that were hidden away in a dark corner. 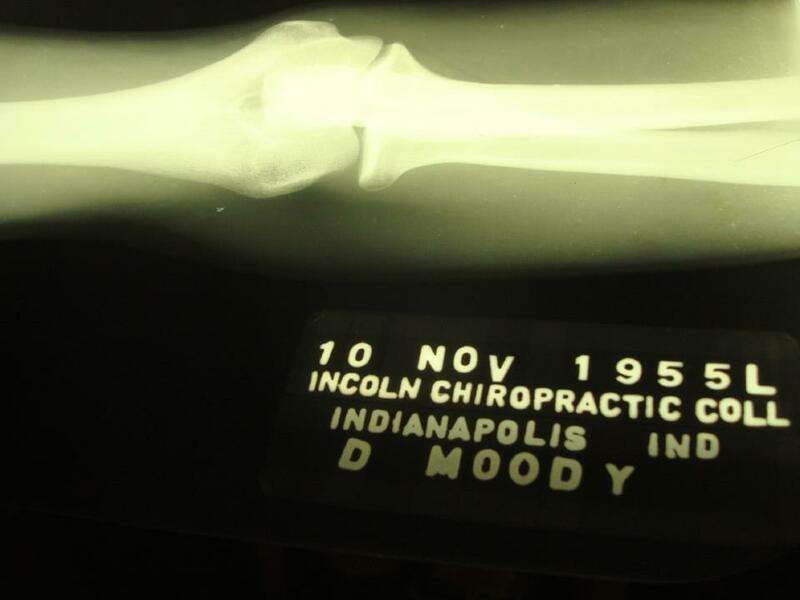 Here is a photo of his x-ray certification from Lincoln, year 1957. Notice how it refers to Spinography. All in all this was a very fun and memorable chiro-picking experience for me, and with the holiday season in full swing, you could say I was like a kid on Christmas morning. 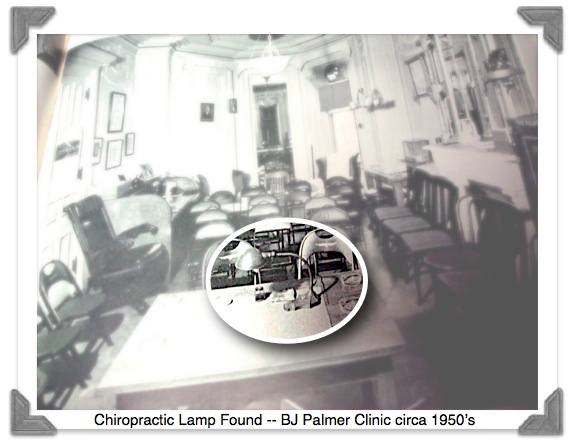 To come across this local collection, only five minutes away from my house, and preserve some of my local Michigan chiropractic history was the bow to top it all off. Since it is Christmastime, the green Zenith table will go to my chiropractor (and chiro-historian), Dr Steven Simmons. I hope it will be a nice piece to reflect the evolution of chiropractic benches and to act as keepsake of our Michigan chiropractic pride. Merry Christmas Dr Simmons! 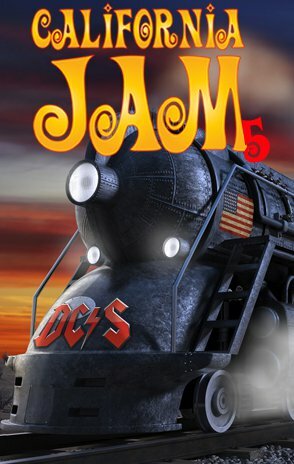 …Just watch your back as we haul it up those stairs together. 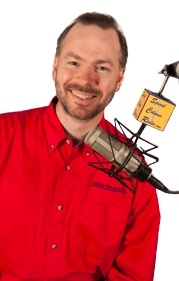 Because remember, while you may be able to fix mine… I’m not a chiropractor — I just play one on TV. On a side note: The “mysterious machine” I found was called the “Percuss-O-Motor” — produced in the 1950’s by the McShirley Company (a mixer’s dream tool to be sure). It was a popular device in Reflexology and was advertised in National Chiropractic Journal publications. It was an early model of devices still in use today by Reflexologists. Reflexology applies pressure to areas on the feet, hands, or ears that correspond to the body’s organs and systems — bringing about beneficial effects on them and the person’s general health. The device is powered by a tube inside the machine that takes awhile to warm up and activate the pulsating gun. The knobs on the front piece control the intensity and speed of pulsations. I am very impressed with how solid and well-built the machine is. It has survived heavy use and remains in perfect working order. I love its retro look and the blue, strobing light in the center is just way too cool. I must admit the pulsating gun on my feet felt very nice after a busy day of chiro-picking. The pulse seemed to relax my whole leg and I could see why this tool could be very useful to chiropractors — (especially one’s that find themselves lugging unusually heavy equipment up a full flight of stairs). It would seem to me that a tight muscle quickly relaxed by vibration would be a lot easier to adjust through than one that was tense. 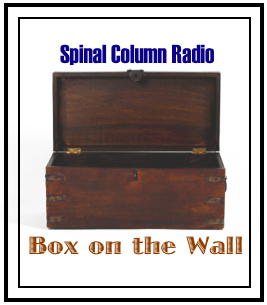 I realize straight chiropractic is opposed to using extraneous gadgets such as this to aid in adjustments. However, as a collector, I find it to be beautifully constructed and very efficient for its purpose. 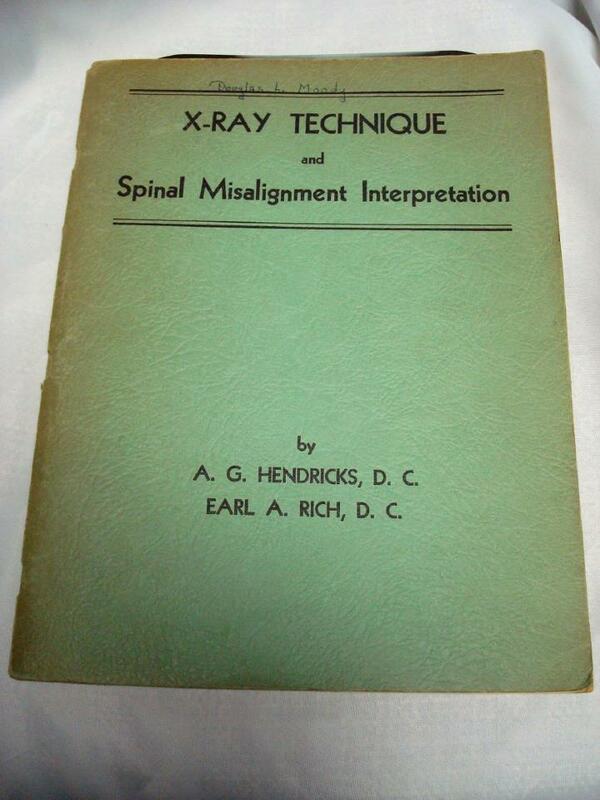 I am proud to add this bit of chiro history to my collection. At this time of year many of us are celebrating holidays which have traditionally involved the exchange of gifts – a ‘found object’ that expresses of our love for the recipient. Items that we have sought out and purchased from large retail stores or little boutiques and, in some cases, from the basement or garage of a complete stranger. It is this quest for the ideal gifts for friends and loved ones that fuels the fire burning in the heart of every picker. I know from personal experience the joy of acquiring objects that possess a history that ‘speaks to you’ on a personal level and yet may also have an inherent monetary value. Among my collections are valuable vintage and antique Chiropractic artifacts that I have acquired during my 30 years of being a Chiropractor. As you may imagine, some of these items hold an emotional connection that far exceeds their market value. Yet, on occasion I have relinquished some of my heartfelt treasures in exchange for payment. This money is then deposited in the bank and will be gone and forgotten when I spend it — And I will spend it! I have also had the opportunity to give away some of my valuables. Gifts given to an individual or an organization where both the giver and recipient were enriched by the encounter and no money was involved. Where tears of joy are often shed and hearts touch. This is a deposit in the Bank of Your Heart, where it remains, everlasting, and collects interest and grows. Gifts are often intangible – actions, experiences shared, and kind words can also swell the walls of the Bank of Your Heart. Dr. Caryn H is a retired chiropracTOR of 30 years, residing in the Pacific Northwest, who also shares a passion for “picking” all things chiropractic. Ok, you guys just ruined my magical Disney like ending to my Chiro-picking article. So here’s the other side of the story. I purchased the bench table for 1.00 at the end of the estate sale. 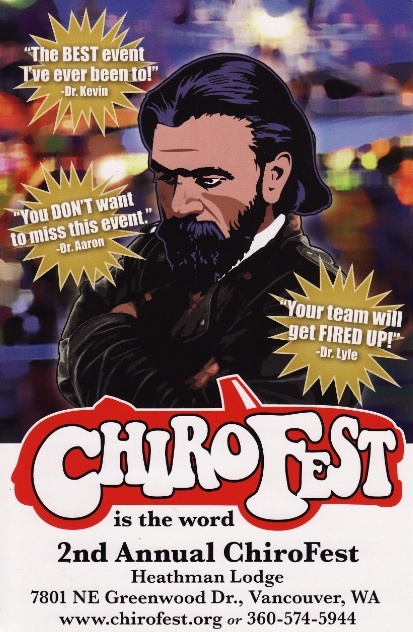 Nothing gets the Chiro-pickers blood racing like a good bargain. And I was anxious to gift it to my pal Stevie Simmons. However, Dr. Simmon’s assistant who had a past experience of moving one of these tables, told us what a bad idea this would be. There wouldn’t be enough Chiropractors in Midland, Michigan to correct our backs after we would try to haul this thing up a flight of stairs. Sadly this is the problem with old chiropractic bench tables – they are just too big and heavy to be collector’s items. Also I was cautioned that spring loaded tables such as this can also be very dangerous if tampered with. 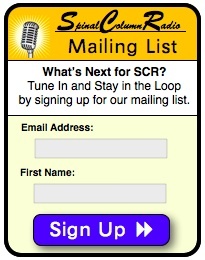 My suggestion to you is to scrap it. Most of the weight comes from the solid cast iron which you will be able to make some money on. The table had a good life and I’m sure many patients were made well on it from Dr. Moody. I wish you all the best in removing it from the basement. 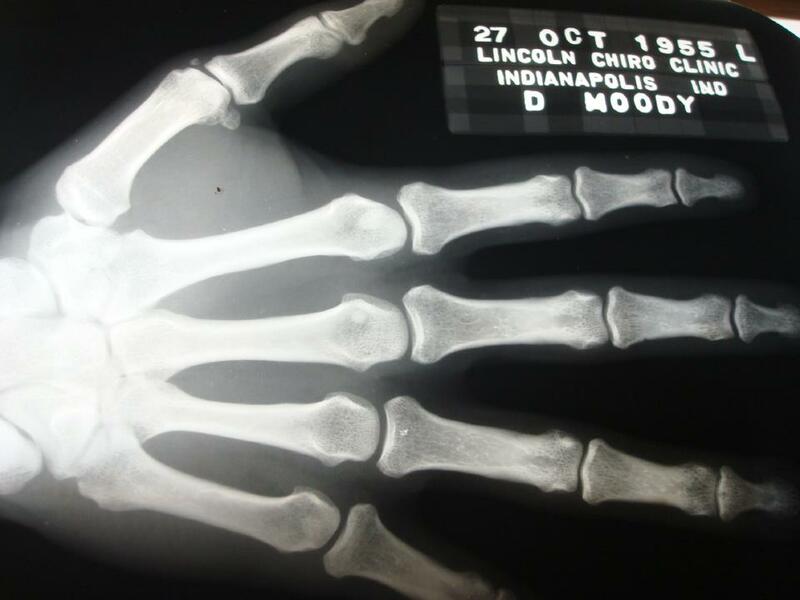 We may have to pull Dr. Moody out of retirement to give you some adjustments afterwards. Good luck. CP. Hi. 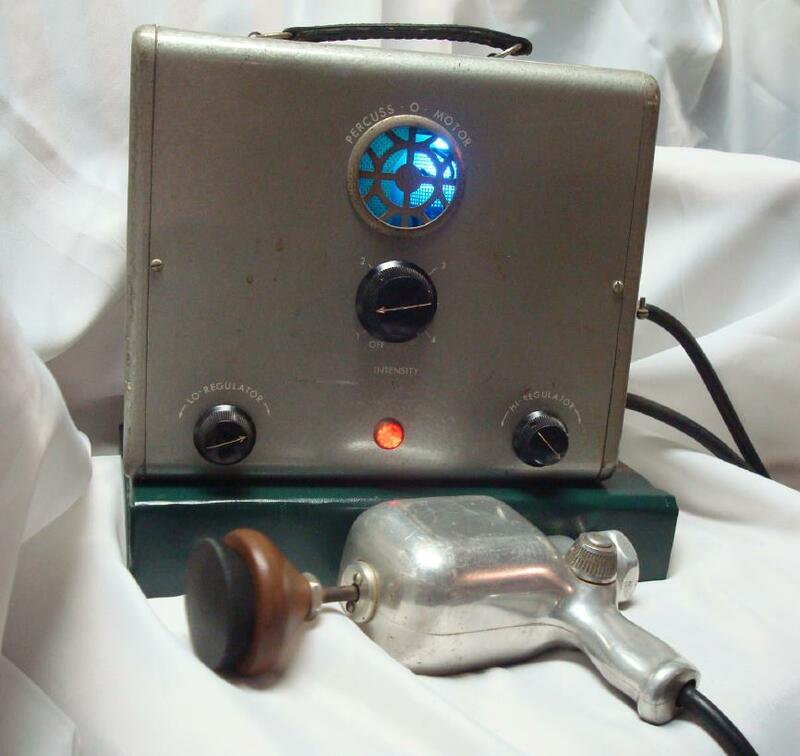 Just found your site, looking for value of antique chiropractic equipment. 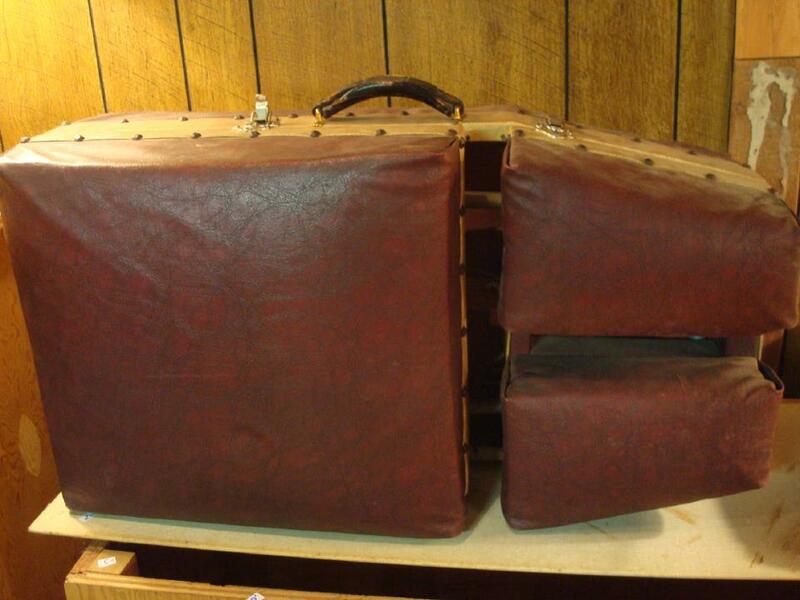 My chiropractor husband is near retirement & is selling his antique suitcase adjustment table, similar to the one shown above. It’s in beautiful condition – we use it for decor in the office. I’d be happy to send pics and details to anyone interested. Or can someone guide me to more info? Thanks! 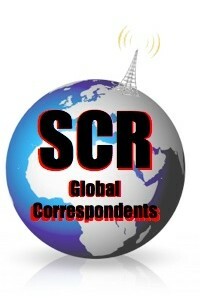 Dana – I’ll let the ChiroPicker, Todd Waters, know.